Another week, another new design! This one is slightly autumnal in feel, which seems a little surreal bearing in mind the crazy warm temperatures we've been experiencing in the past few weeks! 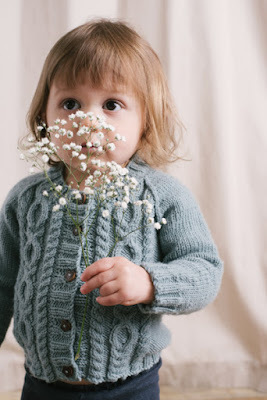 I love preppy-style clothing on small children, and cardigans make a perfect additional layer during the transitional period from summer to autumn (cast it on now to be ready for autumn!). The Soft Sky Baby Cardigan* is a gorgeous little cabled cardigan that features classic raglan shaping combined with intricate cabled panels that run down the two fronts of the garment. 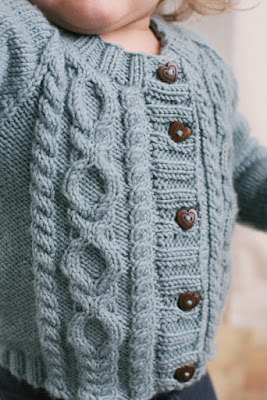 The cardigan is knitted from the bottom up, with the sleeves and body joined at the base of the yoke. 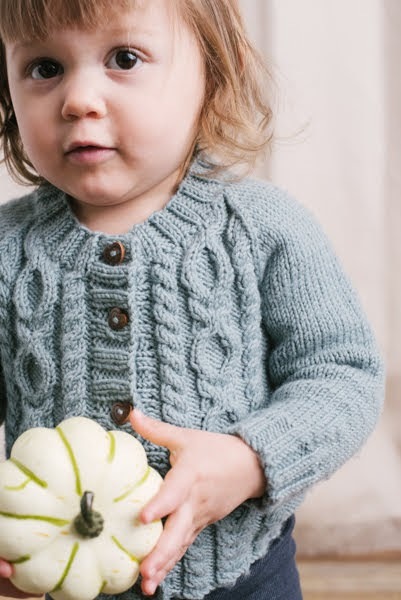 The Soft Sky Baby Cardigan is designed in five sizes (to fit ages 3 months to 2 years, with finished chest sizes of 19 to 23.5 inches). The sample is knitted in Sublime Yarns Extra Fine Merino Wool DK* (100% Extra Fine Merino; 127 yards [116 meters]/50 grams), which is, as the name suggests, a pretty luxurious option; it's wonderfully soft and has beautiful stitch definition. It also comes in a lovely array of colours, both bold and subtle, so I'm sure you'll be able to find a shade you like. If you'd like to knit the Soft Sky Baby Cardigan, you can find the pattern in the August 2018 issue of I Like Knitting magazine. * I Like Knitting magazine is a digital magazine that can be purchased via subscription. More information can be found here. Want to favourite or queue the pattern on Ravelry? The Ravelry listing can be found here. All images are copyright I Like Knitting.